Big screen hire is always worth considering, whether you’re organising a private party, corporate event, festival, or any other occasion where having a screen would improve the visual experience for you guests. From huge LED screens and video walls to pop up cinema hire, you’ll be able to find a screen to suit your event. Most suppliers will have big screens for hire in a variety of shapes and sizes, and often the larger screens will come in small, modular pieces which means they can be built specifically to suit your requirements. Pop up cinema hire is increasingly popular and a perfect example of how to use big screens to bring in the crowds. Because big screen hire is so versatile, it means you can host your pop up cinema or other event almost anywhere, indoors or outdoors. To find out more about big screen hire and to hear from local suppliers, simply complete a request form now. Projectors, Large Format LED Screens and Video Walls - If you need a Big Screen, we've got you covered. 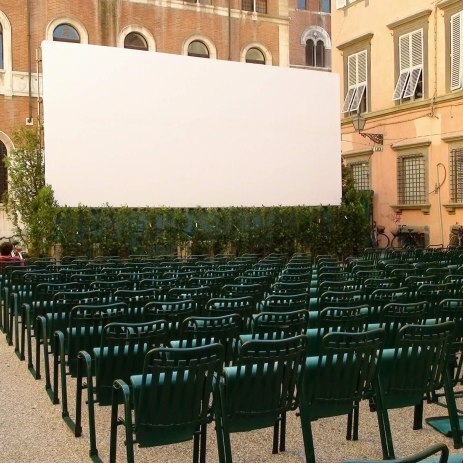 Your big screen hire supplier will take care of installation and collection and in the case of larger, more technical screens, most suppliers will provide a dedicated team member for on the day management. Big screen hire is available both indoors and outdoors, and your supplier will be able to advise what sort of structural support will be required based on the type of terrain the big screen will be placed on. So, whether you’re looking for a big screen for presentations at a business conference or to show some embarrassing photos during a best man speech, why not have a look at some of our amazing big screen suppliers and find out how they can enhance your event. To hear from big screen hire suppliers in your area, simply complete a request form now.